I don’t know about you, but my PD LOVES it when I’m sick!! As my body becomes distracted, working to fight off whatever germs have invaded, my PD decides that it is all powerful and gets to reign as supreme ruler! So I not only feel disgusting from the virus/flu/infection/plague, I also get the royal treat of a PD day!! 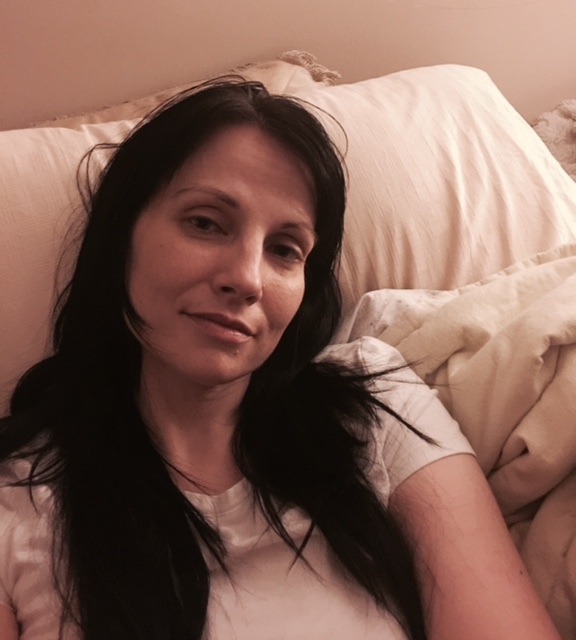 At one point after helping my children with a few things, I made it up to my room and collapsed on the floor next to my bed and just stared at the ceiling…for about an hour until I finally realized that I would probably be more comfortable if I got ON the bed instead of lying BESIDE it. I felt proud of myself for figuring that out after only an hour. Sometimes strange things happen to me when I’m sick. This confession may shock those of you who know me! I recommend sitting down before reading it. Sometimes when I’m sick I get crabby. It doesn’t always happen. It has nothing to do with normal PD anxiety. I just feel down right crabby, grouchy, stomp around the house, glare at the pictures on the walls (since I feel bad glaring at real people), slam the door and give a mighty roar, crabby!! I feel a need to find anyone who has ever been unkind to anyone I know and invite them over to my house, where I will force them to walk across a floor that is covered in Lego blocks…with BARE FEET!!!! Have you ever stepped on a Lego block with bare feet? If not I can say with firsthand knowledge that it really hurts!!! In my pre-PD days, I was one of those people who would ‘power through’ illness. No way was that cold/flu/infection/plague going to slow me down! But I’ll share with you a story that taught me a serious lesson. It was that first big year of H1N1 where the line up for vaccinations were miles long. It was a frightening time for many. It was October, which for me was costume making month! I love designing and making costumes! It had been decided by the family that we would go with a medieval theme that year! 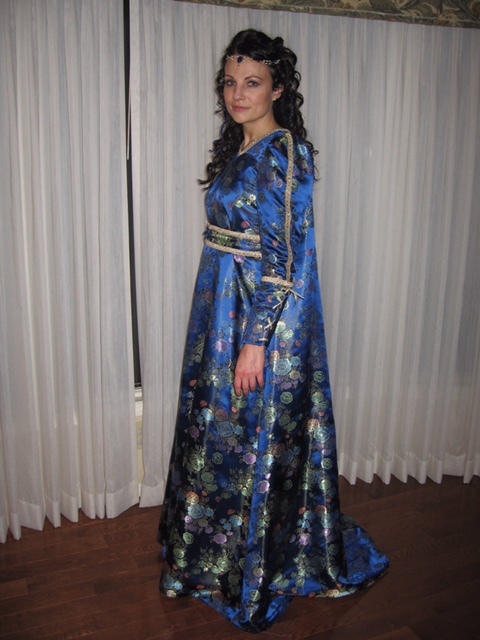 I designed ball gowns for myself and my 2 daughters. I turned my son into a daring knight, including armor. I lived on about 3 hours of sleep, but that was normal for that time in my life. Halfway through the month I got a cold, but I was busy, so I powered through. The cold got worse, I powered through. It moved into my lungs, I powered through. I had to sleep in a recliner because I couldn’t lie down because of the congestion in my head and lungs, but I powered through…can you guess where this is going? By the time I finally dragged myself to the doctor it was found that I had H1N1 and by that point, terrible pneumonia. My doctor looked at me with concern and said “Meg, how did you miss this? Look at yourself!” I looked in the mirror and realized just how sick I was. I was ashamed. People were dying and I was so consumed with something as trivial as making costumes that I put myself and those around me in danger. I feel eternally grateful that no one else in my family got sick. Needless to say the sewing machine was put away…the costumes saved for another year. It took a moment that serious for it to finally hit me that I only have one body and that I needed to take better care of it. That people were counting on me, not to make costumes; not to run all the school fundraisers; not to be super mom; they needed me to BE THERE, with them and for them, for many years to come. I wish I could say that I didn’t have to learn this lesson a few more times, and that I don’t still need regular reminders, but I’m grateful for the wake-up call that I received that day. It was the beginning of a lifelong journey. I’m not invincible and I need to “put on my own oxygen mask first before helping others”. I’m grateful for those who continue to patiently remind me. ** Hint, Hint…this is my patient reminder to all of you! It’s years later now and, as previously discussed, I have PD, which brings with it, its own extra special kind of exhaustion on top of the everyday exhaustion; add to that the ongoing recovery of the strength I lost before receiving my feeding tube; mixed with three awesome kids who need a mom to nurture them, love them, and take them to the orthodontist; I have to keep this message in mind constantly. Lives literally do depend on this. Which reminds me, since everything and everyone is calm and quiet, this crabby fairy is heading for a nap. ← More Beautiful for Having Been Broken ~ Is what you have, who you are? Bare feet or sock feet, stepping on Lego hurts like crap! Love your articles, they are very well written and insightful with a touch of humor.